Contingency Plan for the Swine Flu Pandemic is in place at UMB. - We continue to make contingency plans for potential absences among both employees and students. 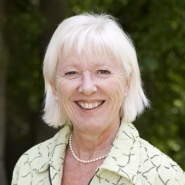 The situation is continuously evaluated, states university director Siri Margrethe Løksa. - Løksa reiterates that sick individuals should remain home until they are fully recovered to limit infection. - Help prevent infection by extra hand washing and less hugging, recommends Løksa. - Individuals in risk groups are encouraged to be vaccinated. You can read more on the risk groups here. UMB has its own pandemic plan. The university is working closely together with Ås Municipality on necessary precautions, among other things vaccinations for students. Students who will be taking exams should stay updated on exam information from the various departments. The rules for sick notices still apply and a sick note should be submitted if a student fails to attend an exam in order to be eligible for a re-examination. All the departments will treat ill students with a high degree of flexibility when it comes to obligatory activities which are missed in order to comply with the national recommendation for limiting the spread of the swine flu. Vaccinations are under way in Ås municipality. Check the Ås municipality homepage in Norwegian or Athene in English for additional information on vaccination dates and times. You can also get advice and guidance by calling the Pandemic hotline: 815 55 015. Visit Athene for the most recent announcement on vaccinations. When it comes to the stocking and placement of hand sanitizers/disinfectants, it is up to each department to purchase these items. It is most important to wash hands well with soap and water. We refer you to the official website on the pandemic flu. UMB is in talks with private healthcare services regarding the possibility that they assist with vaccinations. There are many matters which must be cleared up between the municipality and the private healthcare services. Therefore, UMB will provide additional information on this at a later date.